Talk about a spice that’s everywhere. From beverages like ginger ale and ginger beer to Thai dishes and sushi, ginger is all around us. But for all you see it, how much do you know about it? What is ginger, and how spicy is it? Are there differences between the ground ginger powder and fresh shaved ginger? Is ginger healthy? Get ready for a few surprises, as ginger takes on different flavors depending on the form you’re eating. And some are spicier than others. Let’s get the science out of the way. 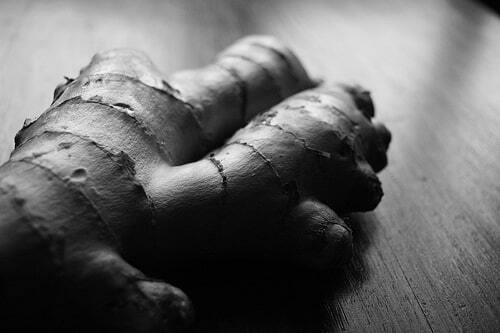 Ginger comes from the underground stem (called a rhizome) of the a plant with the scientific name Zingiber officinale. It’s part of the Zingiberaceae family of plants. What’s all this mean? Well, it let’s us know what ginger is related to – spices like cardamom and turmeric are part of the same family. The root stem is what’s eaten, but the plant itself is very pretty itself. In fact, it’s often used as a landscaping plant in sub-tropical and tropical regions. The spice has had a long history: a native to China, it spread throughout Asia, Africa, the Caribbean, and India and finally Europe as part of spice routes as early as the first century. These days, ginger is grown throughout Asia and Africa, but India is by far the major producer. In what forms is ginger available? The three forms you most likely know are fresh shaved ginger, pickled ginger, and ground ginger powder. Fresh shaved ginger is a must for cooking many Asian, Thai and Caribbean recipes; pickled ginger is the side you see most often with sushi and other Asian dishes; and ground ginger is a main-stay in the spice rack and the base for many beverages and meals. There’s also crystalized ginger that’s used in many confections and in itself a tasty (and spicy) snack! Now that depends on the form of ginger you’re eating. Fresh ginger has a robust mild-sweet taste, as it’s shaved from young rhizomes. Pickled ginger mixes that sweetness with the tang of vinegar. Both are seriously rich in flavor and extremely aromatic (it does make a kitchen smell good), but not in spiciness. And then there’s ground ginger, and it’s a whole other story. Ground ginger typically has a surprising spicy kick, as it’s most often made from mature rhizomes. As the rhizomes age, their flavor becomes more potent and spicier, and that’s reflected in ginger powder. It’s the fiery flavor of the bunch. It’s not hot the way chili peppers are hot, but its kick is there. Can you use ground ginger powder when a recipe calls for fresh ginger? You can, but don’t expect the dish to taste exactly as the recipe intends. There really is a significant taste difference between the two. If you’re in a pinch, though, think of the ratio as one teaspoon of ground ginger powder for every two tablespoons of fresh ginger. Don’t replace it in even proportions; you’ll find that the food is well over-spiced. Very healthy! In fact, ginger has been used for medicinal purposes for centuries. It has well-documented anti-inflammatory properties, making it a natural arthritis treatment and overall pain killer. It helps settle upset stomachs, making it perfect to calm bouts of nausea, motion sickness, and morning sickness. It stimulates your body, acting as a natural cold fighter and an alternative to caffeine. It’s even been linked to combating cancer cells and lower cholesterol. That’s a lot of health value from a little root. There’s a lot to ginger; a lot more than most people realize. Here at Fiery Flavors, we love its potential for spiciness, but even in its sweeter forms, who can resist the uniquely robust taste it brings to any meal? We sure can’t.